It’s the new way, apparently. Makes sense! Centre of the BB to the top of the head tube – horizontal and vertical = reach and stack. You need a plumb bob. Here’s what numbers come out, unsagged on a Ragley mmmbop, Ti or Blue Pig. 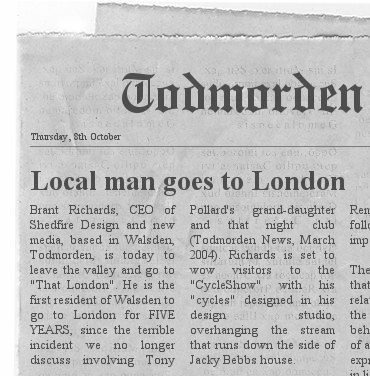 UPDATED ::(I got a new version of the very ace BIKECAD which gave more accurate dimensions). 16in – 23in top tube, 73deg seat angle. 18in – 23.5in top tube, 73.5deg seat angle. reach = 413mm, stack = 589mm (160mm fork). Nukeproof Element grips – coming on a plane – here soon – £14.99 from the usual…. Ragley Grips – landing soon! – £14.99 – from all good Ragley dealers. 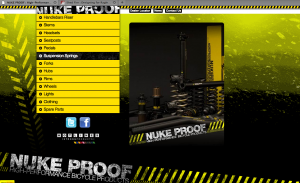 We did a reworking of the Nuke Proof website after the last one died. Live now, bits being added. News coming soon. Got to prep it up for the new suspension models we’re working on. Lots on that coming soon. ps: It’s the suspension frame has changed since the proto appeared in Dirt magazine. So don’t think you can guess what the final ones going to look like.